The days of below-par boarding facilities are fast coming to an end. Today’s students (and their parents) are far more discerning, and attractive boarding environments are without a doubt one of the biggest competitive advantages a school can own. This is being proven currently by forward-thinking schools that are investing in their boarding spaces and enjoying the results that come from an improved environment as well as increased boarding intake. With an intelligently designed boarding house, you can not only upgrade the environment but increase occupancy and social spaces as well. 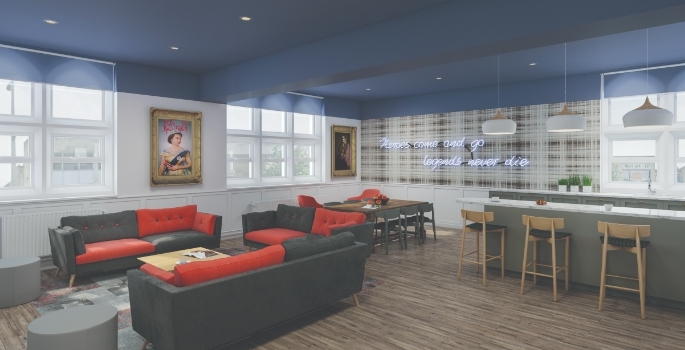 Creating a home-from-home feel is high on the agenda for most schools, however, boarding houses require more than just domestic design features or furniture. As an experienced school interior design company, we understand that ‘things just happen’ in schools. In the hustle of the everyday, objects do get broken, damaged or misplaced. The quality of your furniture and the durability of finishes need to be able to withstand constant, vigorous use, yet be aesthetically balanced. The boarding environment has a huge impact on student wellbeing and performance. We have proven many times how there is a direct correlation between the environment and student learning outcomes. The negative effect that broken or tired furniture, messy bedrooms and dingy corridors has on young people, often far away from home and in a different country, is not to be underestimated, let alone the impression it gives to prospective parents and students. The boarding house is the hub of a boarding community, the place where friends are made for life. It is imperative that the ethos and culture of the house is truly reflected in the interior environment, capturing the essence and spirit of the students of the past, and giving the current boarders the feeling of being ‘one of them’. Furthermore, involving your students in the design of the boarding environment is a great way to improve wellbeing and enhance ownership and pride in their new space. Envoplan offer tried and tested user-centred design workshops, that involve both staff and students to uncover design opportunities within your space. Many boarding facilities in UK schools are housed within old or listed buildings that have seen decades of patch ups and adjustments. These spaces are often tired and drab but can be revolutionised by applying an intelligent interior design scheme. The natural architecture and often stunning features can be emphasised to maximum effect and incorporated into an up-to-the-minute interior scheme. When considering a new-build project, the interior functionality and design of your new space is arguably more important than the exterior. Too often the main focus seems to be on the outside of the building, paying little regard to how the inside is to perform. Our approach is entirely different through our ‘inside out’ design philosophy, which ensures the longevity and success of the project. How each school chooses to manage their boarding system is unique to themselves. The opportunities and facilities open to boarding students are also useful to the studies and recreation of day students. 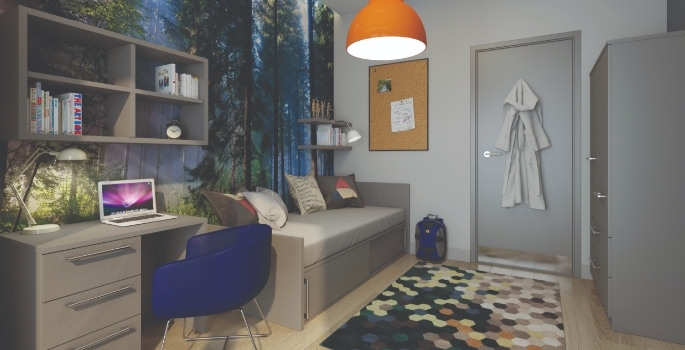 If students opt to stay overnight at school in a flexible-boarding arrangement, there are ways of designing spaces to accommodate varying numbers of flexible boarders. 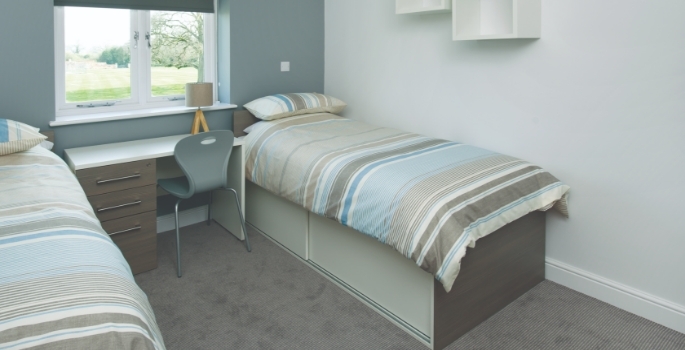 Creating a personal yet not personalised space means that rooms can be used for multiple students throughout the term. Reconfigurable boarding spaces are also possible with our designs. A room that can easily house four students, or be expanded to accommodate six is a room that will prove useful for years to come. 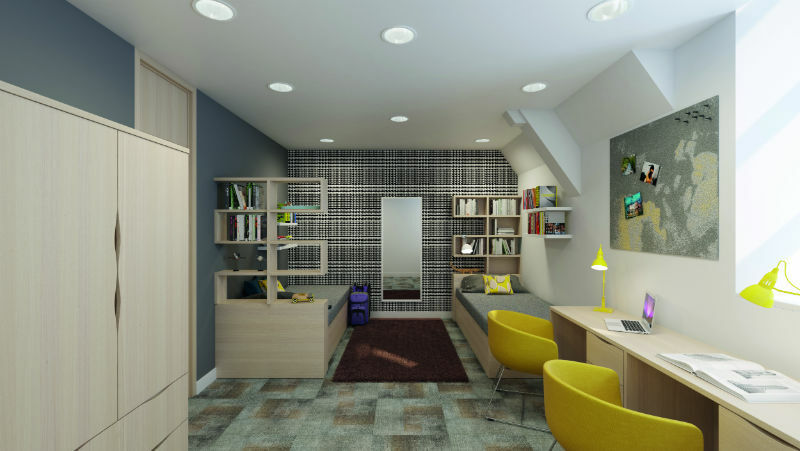 Choose a boarding house design scheme that gives you true longevity and return on investment. At Envoplan, we firmly believe in designing from the inside out, focusing on the quality of the environments that we create, their functionality and the longevity of our designs and furniture. Now is the time to set your school apart and create the environment that will take your boarding houses to the next level! Schedule a conversation with Envoplan’s Boarding Advisor, Bruce Evershed. Send an email to b.evershed@envoplan.co.uk or call directly on +44 (0)20 8997 9656 or +44 (0)78484 59866.